Our Web Design Packages are priced with the small business and individual business owner in mind. We wanted to create website design packages that make the process of getting your business online quick, reasonably priced, and without sacrificing style or performance. 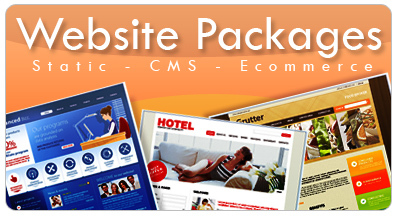 Our web design packages are not from outdated html website templates. We develop custom WordPress websites based on the look and feel your business wants to convey. If you have a website you aren’t happy with, our designers can migrate the good parts to one of our packages giving it an updated look and feel. If you don’t have an existing website, we will create you a brand new one from scratch, quickly. Don’t see a package that meets your needs? Let us know! We’ll work with you to create a custom web design package with everything you need. If you are interested in a custom website design package feel free to request a consultation by filling out our custom webdesign form found here. Running out of time and need a website designed yesterday? We have the team in place for rush orders to design your website inside of 48 hours.